Join us for the 2nd Annual APPLETREE Boston-Qualifying Marathon, Half Marathon & Sunset 5K. 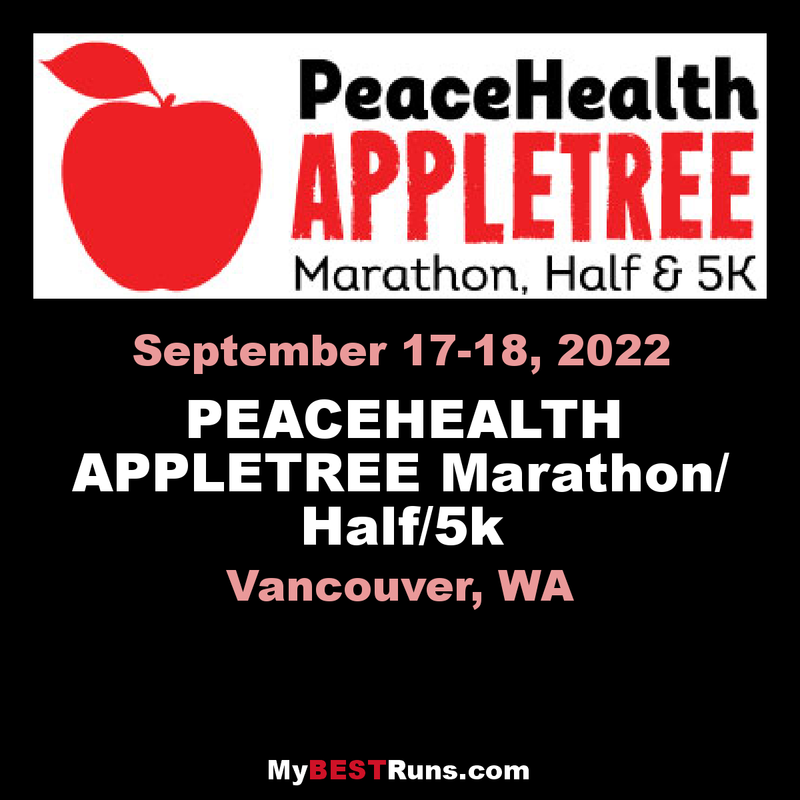 This "Run Through History" will take you on a flat, fast and scenic course through Fort Vancouver, Officer's Row, the Army Barracks, Pearson Airport - the oldest operating airport in the USA, the Historical Old Apple Tree, along the majestic Columbia River and many other historical vantage points. There's so much to see that the miles will fly by! This event will quickly be regarded as one of the prettiest and most unique courses in the Northwest and perhaps the USA! When do you get to experience a history lesson during your race?! The quaint community of Vancouver WA will welcome you and your family with open arms and provide you with a racing experience that you just can't get anywhere else. The volunteer support is off the charts and the energy along the course will make it an enjoyable experience that you will want to return to year after year. The Marathon will be a 2-Loop, spectator-friendly, flat & fast Boston Qualifying course highlighting the beauty of this community and offer an exciting racing experience with energetic water stations EVERY mile and plenty of entertainment to keep you engaged. The Half Marathon will offer the same experience with the joy of knowing you get to start the party a little earlier than your Marathon counterparts! The Sunset 5K will offer a shorter distance for our friends, family, and others in the community who would like the opportunity to enjoy the racing experience. It will also allow for a Pre-race shake-down for our Marathon and Half Marathon athletes and the opportunity for them to earn the coveted BEAST medal for an athlete who races both Saturday and Sunday. Since Vancouver WA is right across the river from Portland OR, you are within a 20-minute drive to the PDX International Airport and minutes away from the big city.